I'm a confirmed lemon freak. 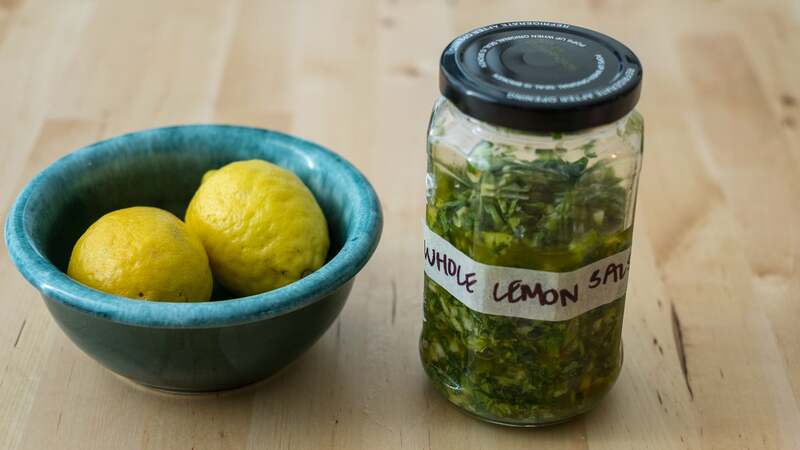 I love their bright acidity and subtle bitterness in applications both sweet and savoury and firmly believe that a squeeze of lemon ties any dish together; I buy them in shocking quantities, usually keeping up to 3kg in my crisper drawer. It makes sense, then, that I was given a copy of Alison Roman's Short Stack cookbook on lemons for my birthday earlier this month — and that I've been cooking from it nonstop ever since. This book covers all the basics, but also introduced me to the concept of cooking with the entire lemon. 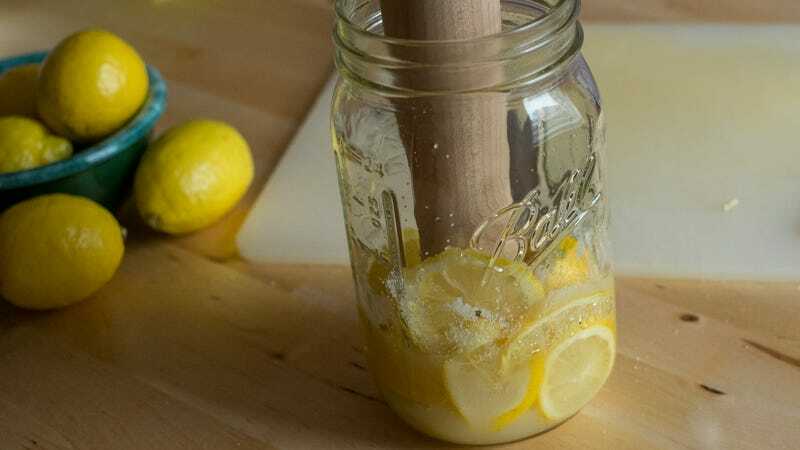 I can't believe I hadn't tried it before; I've always loved lemon Shaker pie, but it never occurred to me to use whole lemons in other applications. Not only does a flesh-to-peel approach eliminate the waste that comes from juice-only recipes, but the pith and rind provide complex flavour and textural contrast that you can't get from the juice alone. If you love lemons like I do, you owe it to yourself to start using the entire fruit. 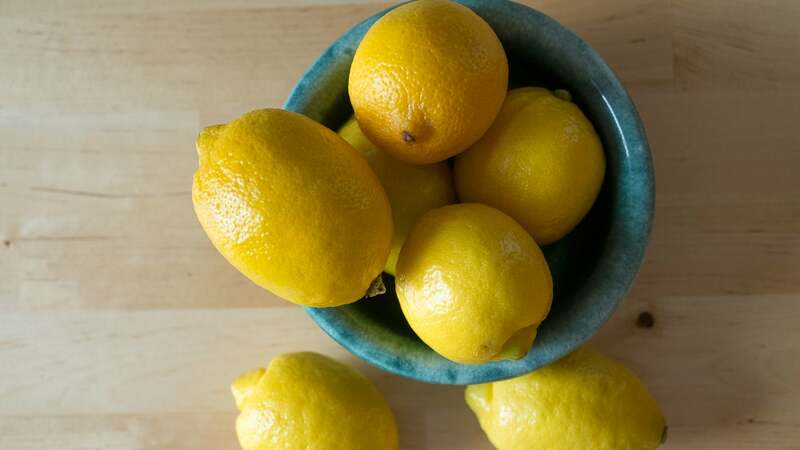 I've collected three awesome whole-lemon recipes here — two adapted from Alison Roman's lemon cookbook, one of my own design — to get you started. Even though these are "whole lemon" recipes, you still need to remove the seeds. The pith and rind are pleasantly bitter, but the seeds are anything but pleasant to eat. 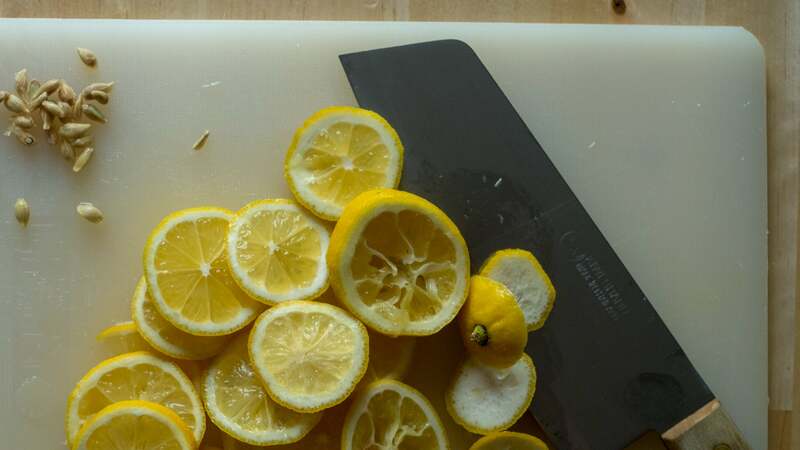 The easiest way to seed a lemon is to slice it into quarter-inch (or thinner) rounds and pick out the seeds with your fingers or the tip of your knife. The number of seeds will vary from lemon to lemon — some have none at all, some have way too goddamn many — and thin slices expose every single one. 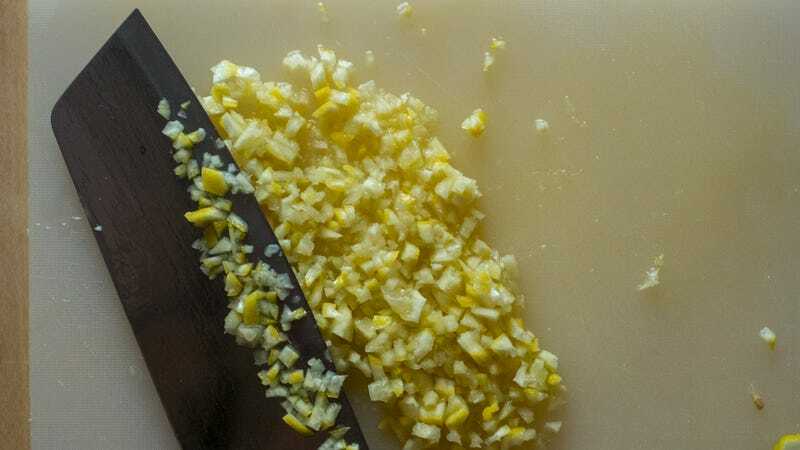 This process is just as fiddly as it sounds, but it goes quickly: I can slice and seed a lemon in under a minute, and I prep at a pretty leisurely pace. This is the first recipe in the lemon cookbook and it's a banger: dead-simple, satisfying, infinitely useful and bursting with lemon flavour. A half-cup of sugar turned out to be a bit much for my tastes; I’d use a third or even a quarter-cup next time. 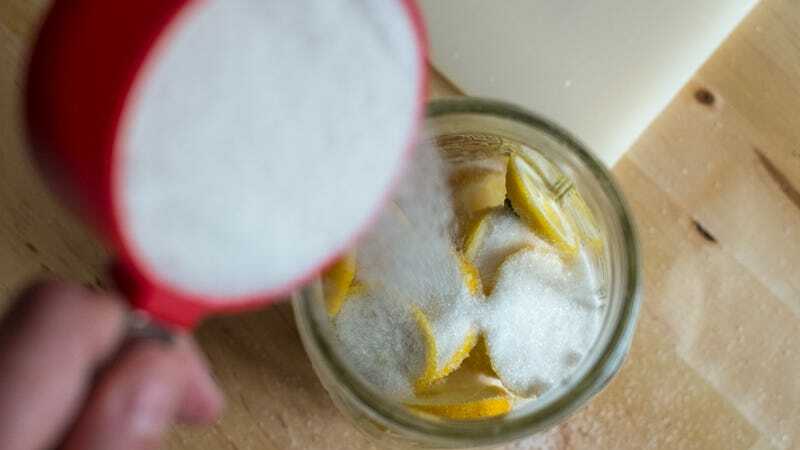 Pour in enough water to fill the container, close the lid securely, and shake to dissolve any errant sugar granules. Serve over ice full-strength or topped with seltzer, but if you ask me, this stuff cries out for some booze. 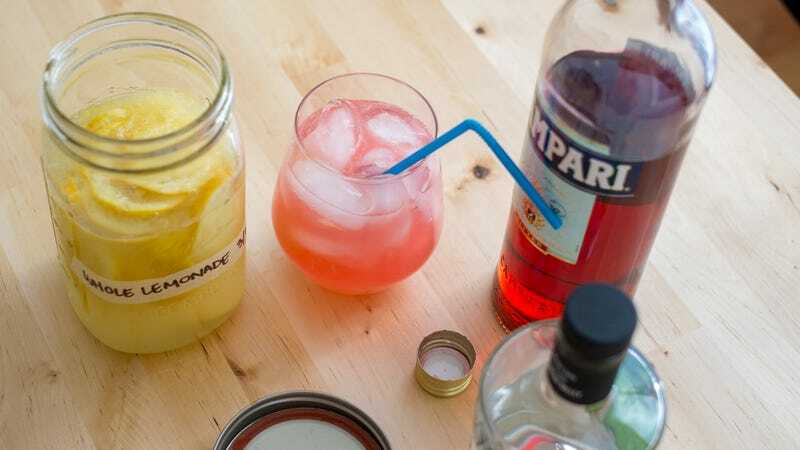 I combined equal parts lemonade and gin over ice, added a splash of Campari and called it Whole Pink Lemonade. 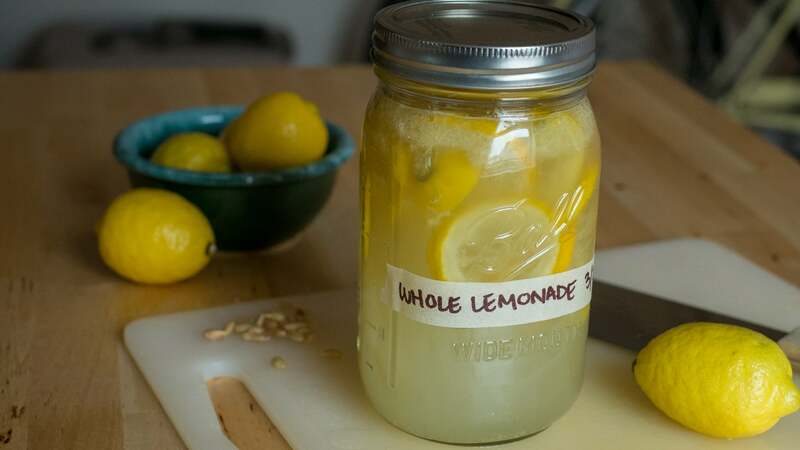 Lemonade might be the first recipe in the book, but this is the first one I made — and it was so good that I did it twice more before the week was out. The version below is tweaked to suit my tastes — more lemon, more coriander and a generous helping of red pepper flakes for heat — and I encourage you to do the same. Combine the chopped lemon, spring onions, garlic and pepper flakes in a bowl or glass measuring cup; add the salt and stir to combine. Let this mixture rest while you chop the herbs. 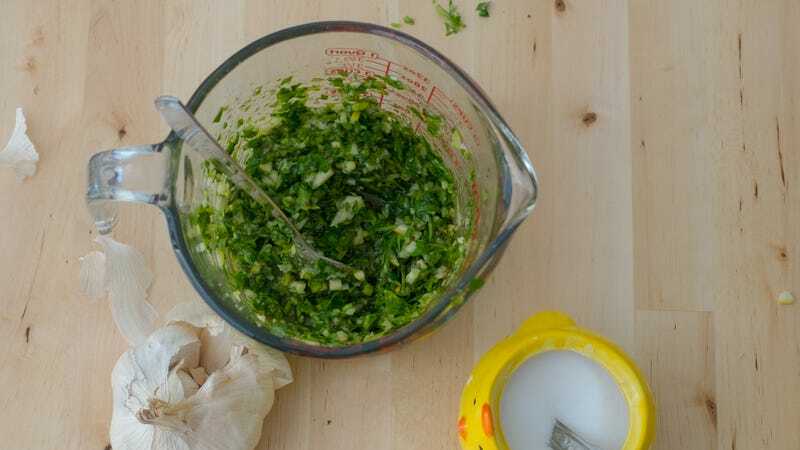 Finely chop the parsley and coriander and add to the bowl with the other ingredients. Pour in the olive oil, stir well and taste for seasoning. Add a bit more salt, pepper flakes, or lemon juice as needed, then cover and refrigerate until ready to use. You should consume this within 48 hours, which won't be hard; this goes with everything. I love it dolloped on black beans and rice, or mixed with mayo and spread on fried egg sandwiches. 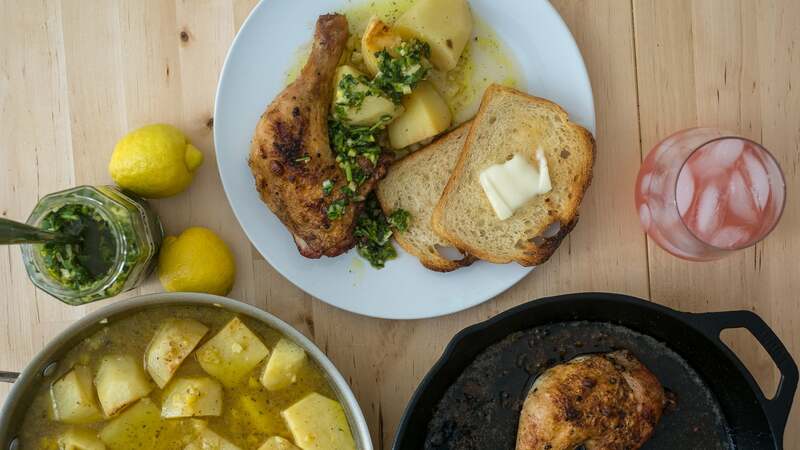 I'm fully obsessed with lemoni patatas, the Greek dish of potatoes baked in lemon-spiked chicken broth: rich and hearty enough to stand alone, but acidic enough to complement fatty cuts of meat; I could eat them every day and always be excited for more. This version is my own creation, and some of my finest work to date — the lemon bits caramelise in the oven, turning into chewy little morsels that burst with lemony goodness. Note: The chicken broth (or concentrate, which is anything but a compromise here) is non-negotiable for meat eaters — but if you're vegetarian or vegan, try adding some nutritional yeast broth à la Andrea Nguyen's vegan pho. 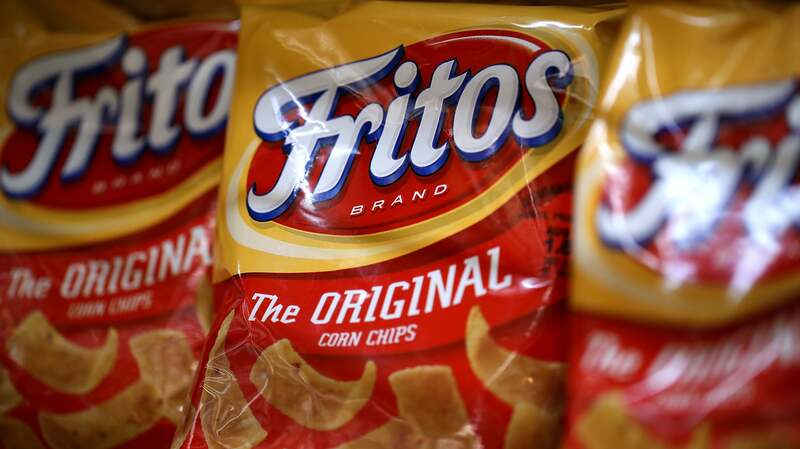 It will add much-needed chicken-y richness to the dish. Preheat oven to 245°C. Heat a large stainless steel frying pan over low heat for a minute to warm it up, then add the olive oil. Increase heat to medium-high and heat until oil shimmers — a few tiny wisps of smoke are OK, too. Carefully add the cut potatoes to the hot oil, sprinkle with salt and cook for five minutes, turning halfway through so they brown evenly. 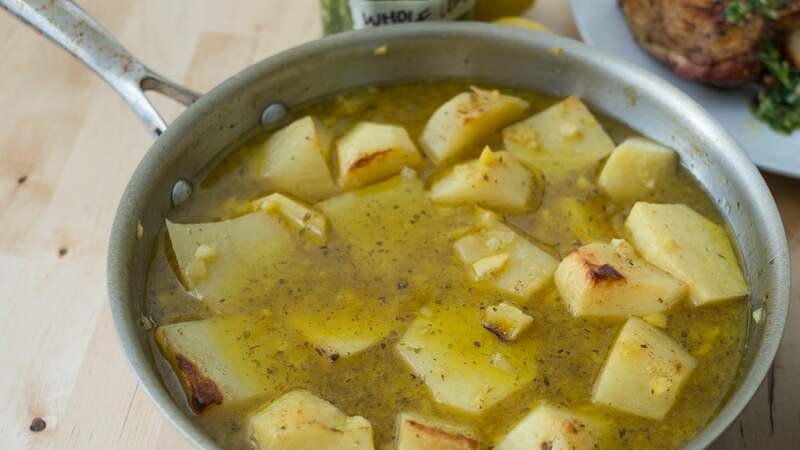 While the potatoes cook, combine the chicken stock, lemons, adobo, oregano and optional garlic cloves in a soup container or glass measuring cup. When the potatoes are browned, pour the stock mixture over the potatoes, gently stir to distribute, and transfer to the oven. Bake for 30 minutes if you want firm potatoes with a bit of sauce (the sauce is very good, y'all) or up to an hour for drier, deeply browned potatoes. Serve with anything — or alone in a bowl, sprinkled with chopped parsley, and some toast to sop up the sauce. These are also great the next day, pan-fried until crispy and served with sunny eggs and some breakfast meat. Thanks to this hyper-specific cookbook, I now have a whole list of lemon projects to tackle while spring produce makes its way to market. Lemon Shaker pie is a must before Meyer lemons disappear, of course, but I'm also scheming up a whole lemon vinaigrette (zested, seeded and suprêmed so I can purée the flesh with oil, garlic, and seasonings) and whole lime guacamole. Even if you're not a huge citrus fan, I hope these recipes inspire you to look at your favourite ingredients with new eyes — and discover hidden applications you'll use for years to come.